Americans now officially drink more bottled water than soda. It’s a shift that decades ago might have seemed unthinkable — that consumers would buy a packaged version of something they could get free from a tap. 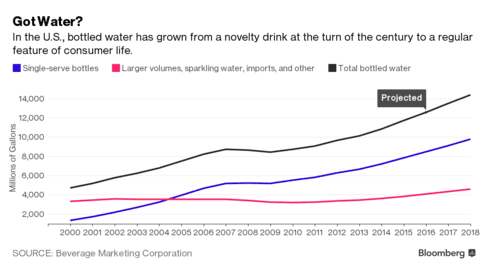 But bottled-water sales have been growing in the U.S. ever since the arrival of Perrier in the 1970s. The gains accelerated in recent years amid concerns about the health effects of sugary drinks and the safety of public-water supplies. 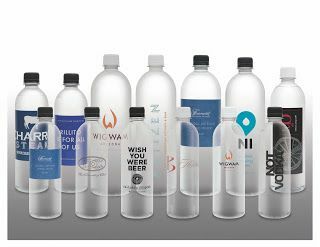 Bottled-water consumption in the U.S. reached 39.3 gallons per capita last year, while carbonated soft drinks slipped to 38.5 gallons, according to industry tracker Beverage Marketing Corp. 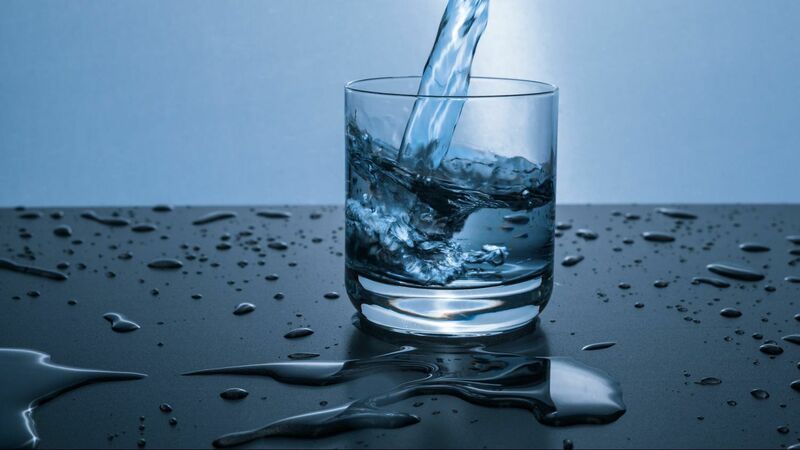 Concerns over child obesity prompted a new report is available focusing on the children's segment of the bottled water category. It provides a topical overview of the trends in overall and children's bottled water consumption and challenges, globally. Introduced this past August, we now offer our Premium Smooth Sided "Bullet" bottle at reasonable pries and only a one pallet minimum. They are produced at our Phoenix bottling plant and can be shipped anywhere. Did you know… 7 out of 10 Blind working age people are unemployed! You can HELP change that one bottle at a time! Bottled Water Store.com supports Blind Industries. Our Sales help create Opportunities for Blind Americans. less likely to develop bladder cancer.